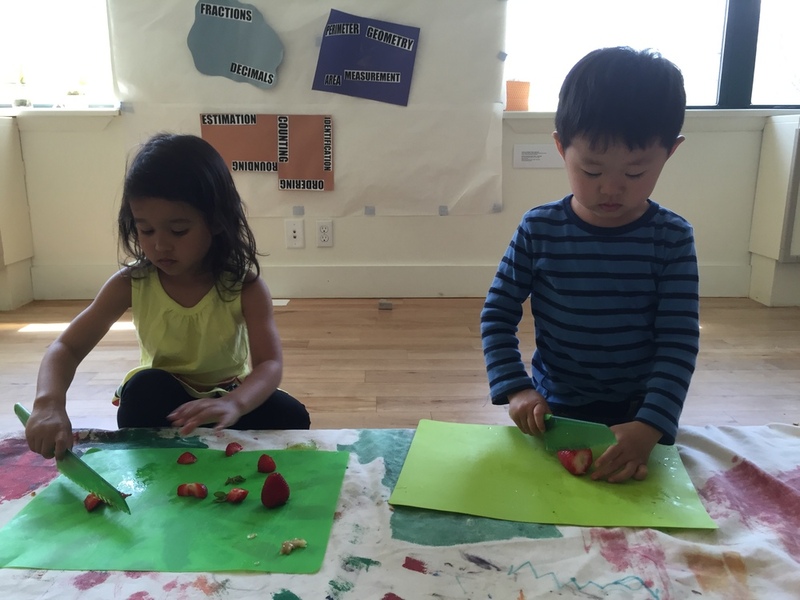 A lot can happen in just one week at Pono! 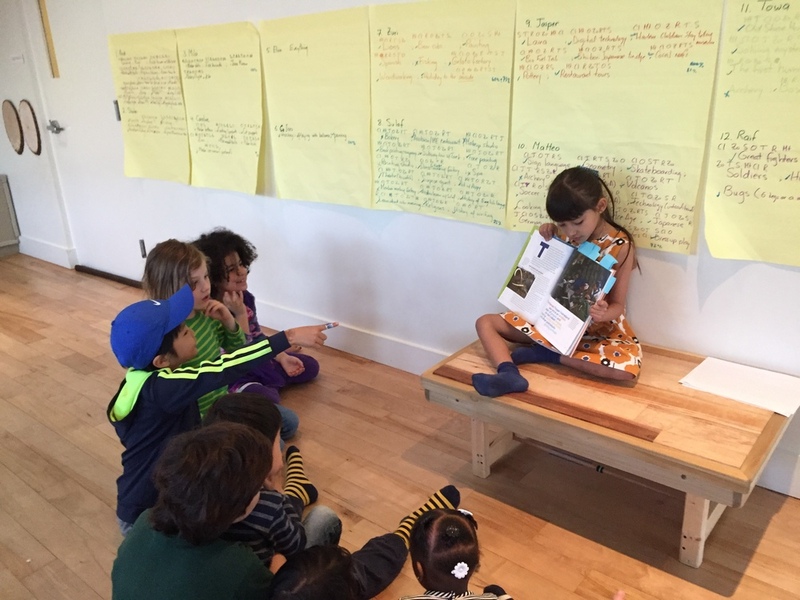 Zoë taught this week's student-led lesson about Lyuba, a nearly intact baby woolly mammoth mummy discovered by a reindeer herder in Siberia. She explained how scientists used a CT scanner and other tools to study Lyuba and discussed what they learned. She asked a provocative question, "Will mammoths live again?" and talked about cloning mammoth DNA. Zoë ended the class with a group activity identifying which animals of the mammoth steppe are now extinct. 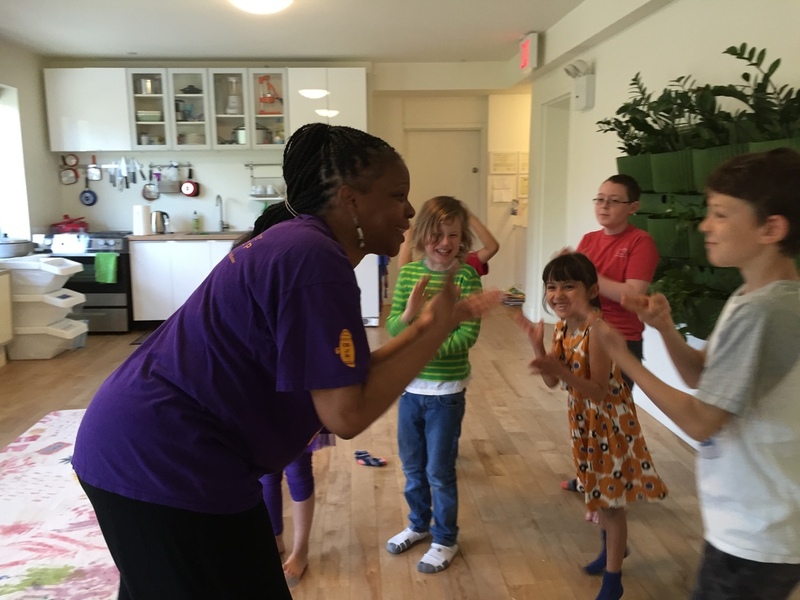 Aziza from Def Dance Jam Workshop returned this week for another energetic class of music and American Sign Language with the older children. 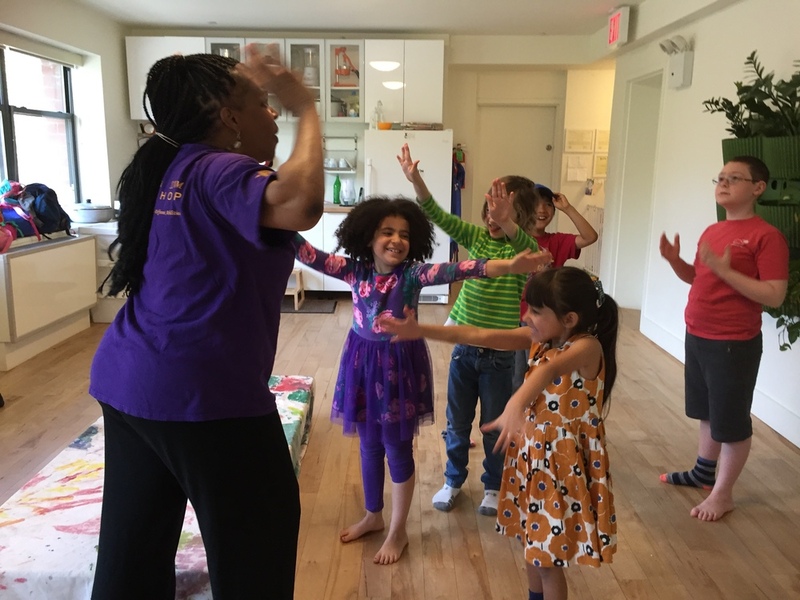 Each child took a turn singing and signing the song "Taxi, Taxi," and later Aziza choreographed their movements to Andra Day's anthem "Rise Up." 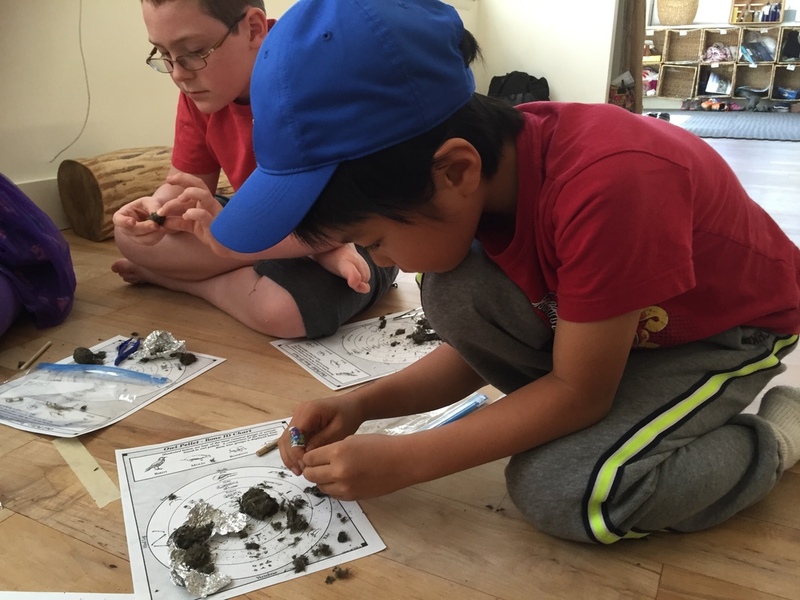 Dr. A and the older children dissected owl pellets and identified the various rodent bones they discovered. There was a lot of intense, careful work punctuated by exclamations of, "Look what I found!" 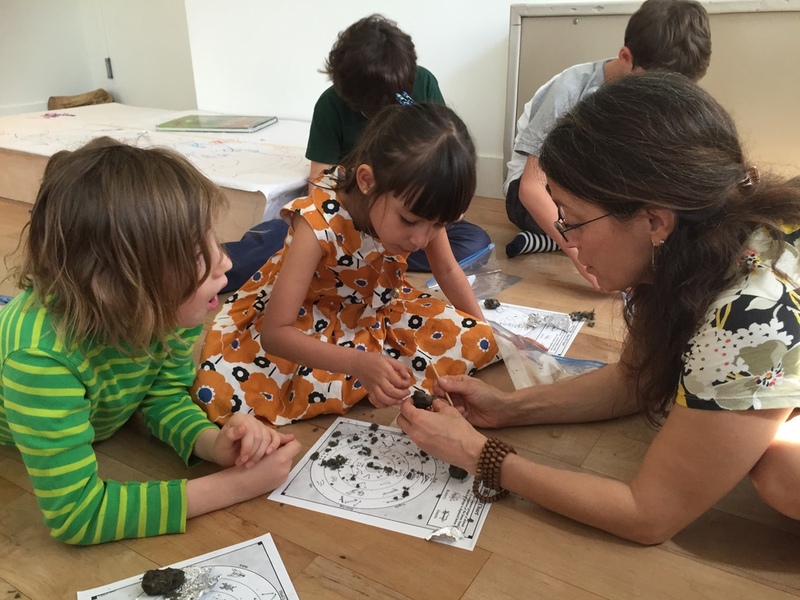 The younger children explored invertebrates with Dr. A. She brought in plenty of specimens for them to examine. A discarded crab shell proved especially fascinating! 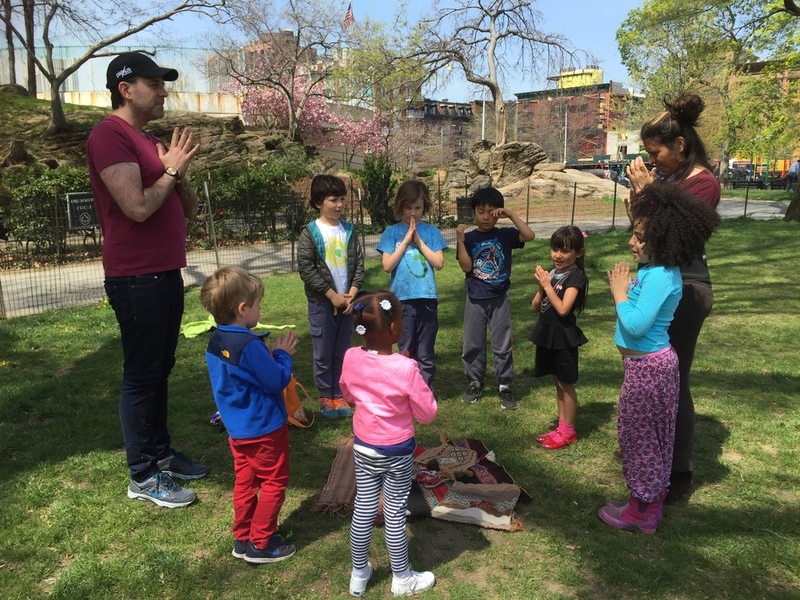 Pono parent and yoga instructor Eric Stoneberg returned for another session of yoga in Marcus Garvey Park and gave the children cloth bags for keeping their growing collection of meditation stones. He invited them to decorate the pouches before they began practicing their yoga poses. Let the good times roll! We started our week with the always popular Wheels Day, as the Pono children zipped through Marcus Garvey Park on their scooters and bikes. 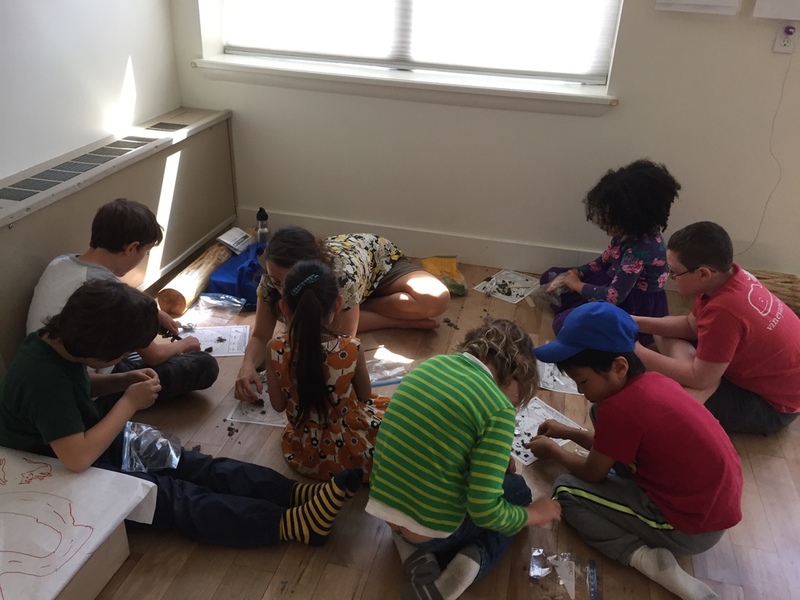 This week the older children watched part of "Becoming Human: Unearthing Our Earliest Ancestors" to learn about our hominid relatives and how we became the humans we are today. Ali led the older children in singing and playing rhythm instruments and introduced them to the work of Louis Armstrong. She discussed Armstrong's vocal technique and shared video of him performing. 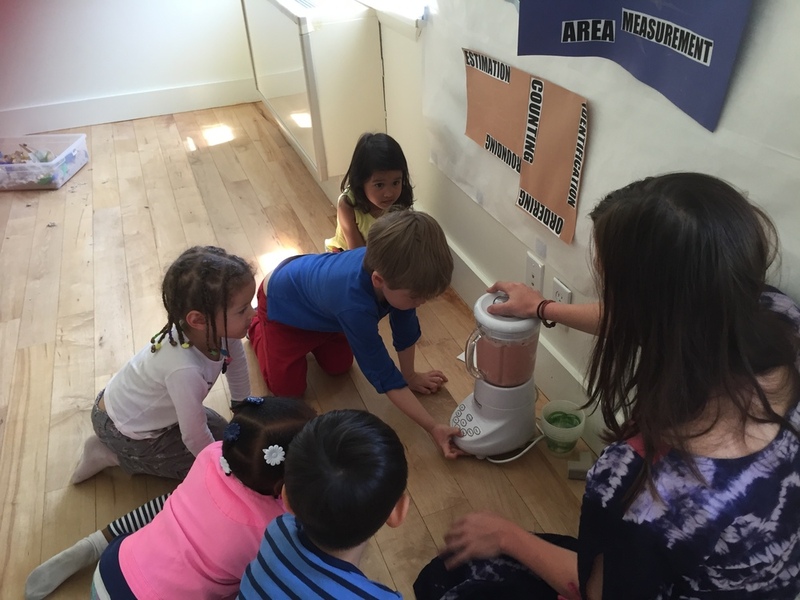 Our young Pono friends chopped bananas and strawberries and whipped up a smoothie sweetened with dates. 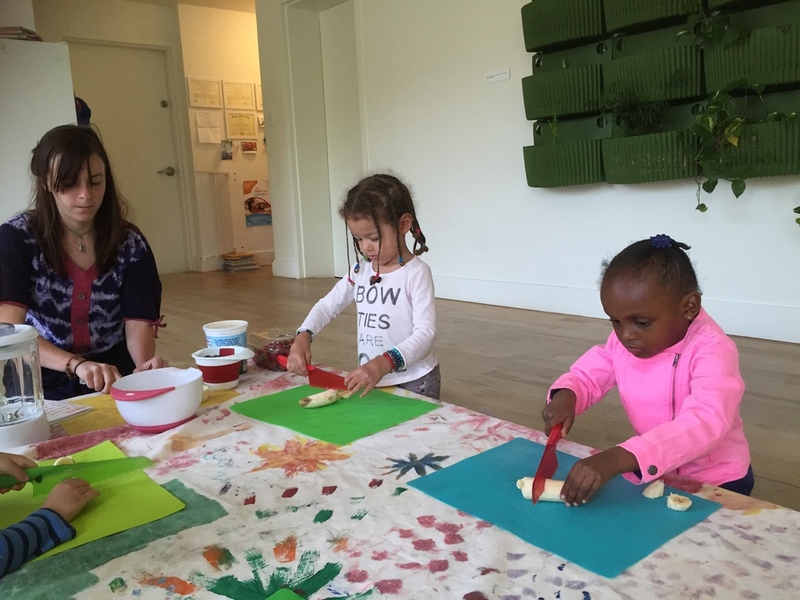 Thank you, Ali, for sharing your yummy recipe with us! Cheers! 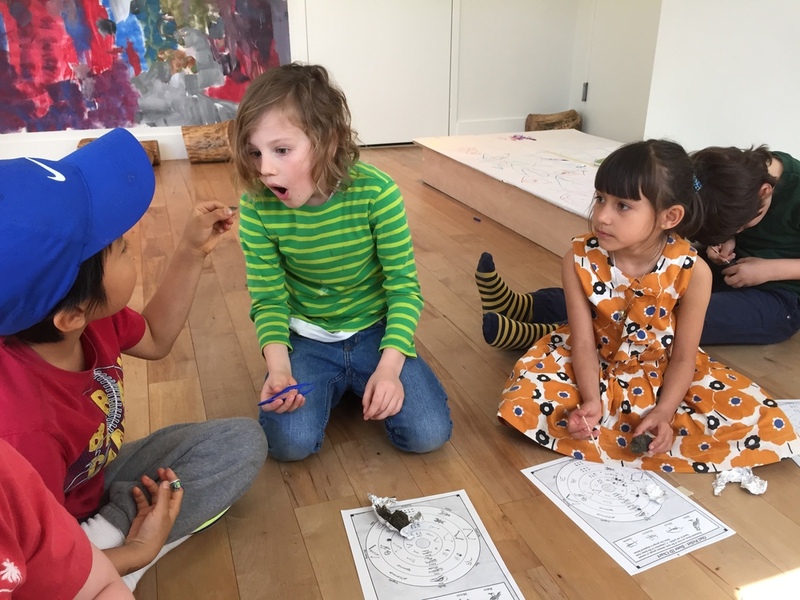 This week in literacy with Julietta, the younger group continued to have fun creating their One, Two, Three, Four sight word/counting book, as well as playing the "Sentence Act" and dictation game with these new words. The older group did more work on suffixes. They also practiced specific tricky words, which they applied to advancing their nonfiction pieces. 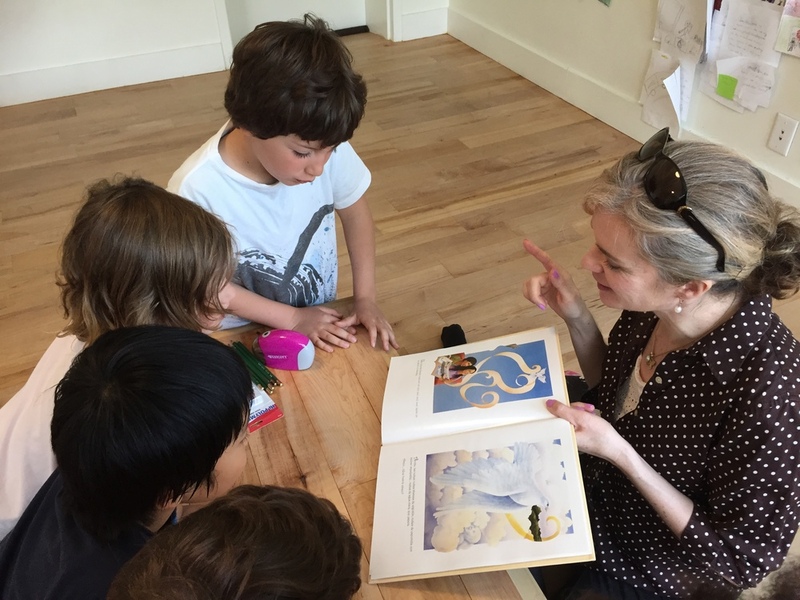 Some children began reading their new book club selection from the Catwings series, which they enjoyed immensely. 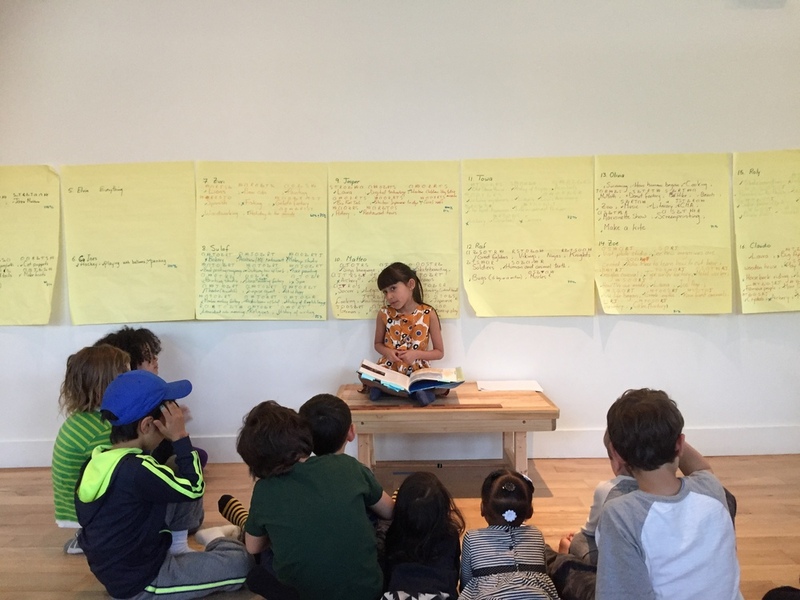 The older children explored several "big ideas" in math with Maysaa this week, including unitizing, compensation, and equivalence. They even made their own board game for a very kinesthetic math experience. Instructor David D'Alessio also worked with some of the older children on more measuring exercises. 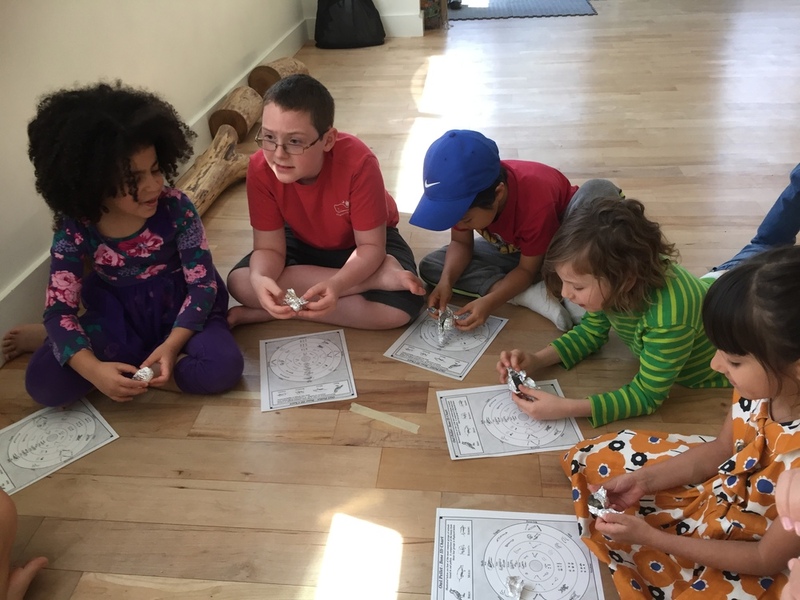 Maysaa and the younger children worked on the concepts of one-to-one correspondence, compensation, and equivalence. They rolled dice and used colorful blocks to cover the "tracks" on their papers that had the same number. Ali read Natasha Anastasia Tarpley's I Love My Hair! to our young Pono friends and then invited the children to paint self-portraits. We saw lots of creative expression! 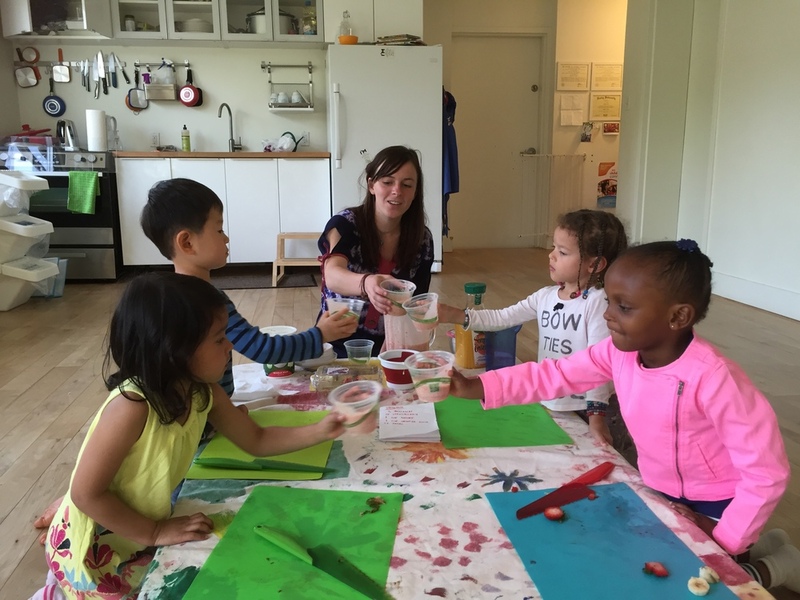 Our youngest Pono friends enjoyed the riot of color in bloom in Marcus Garvey Park. A fallen tulip petal is a treasure! 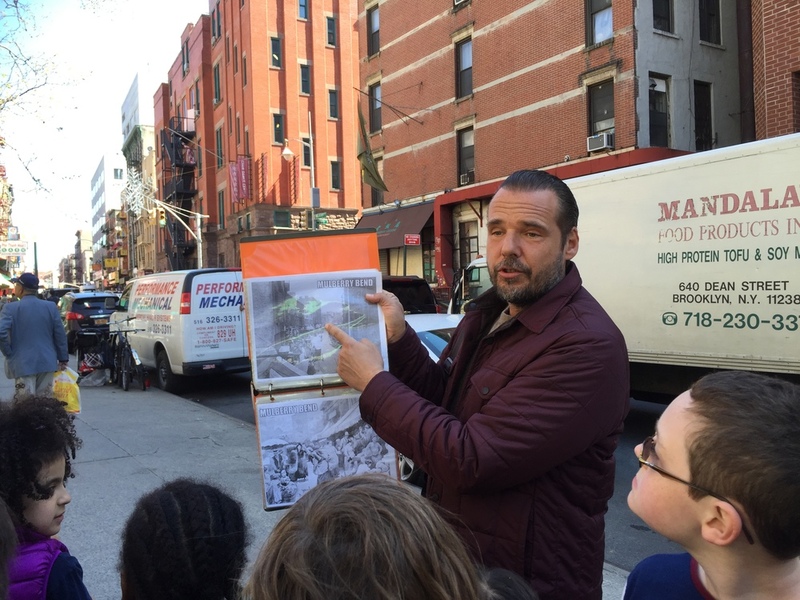 We experienced the rich culture of Manhattan's Chinatown this week as we explored the neighborhood with Eric Ferrara, a fourth-generation Lower East Sider and the founder of the nonprofit Lower East Side History Project. We made our way through Columbus Park, where members of the community play traditional Chinese games and practice martial arts exercises. 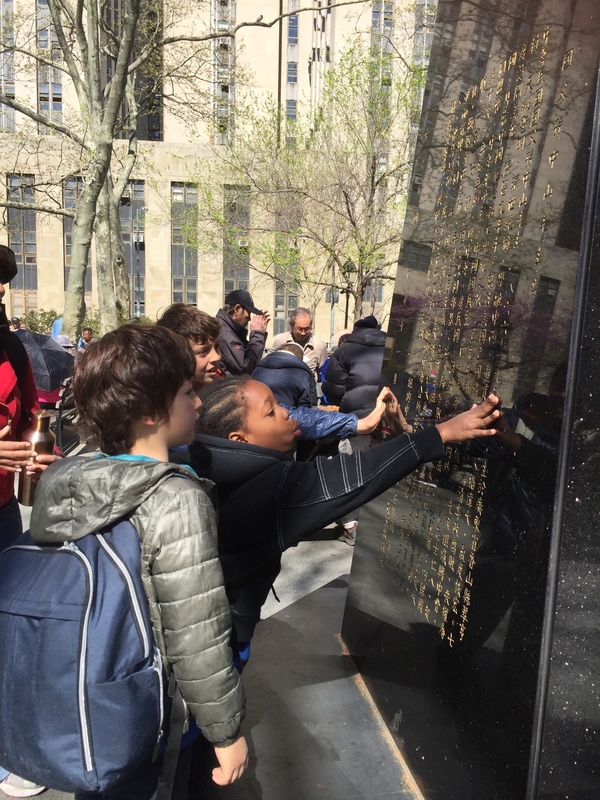 Pono child Raif translated part of the inscription on the park's statue of Sun Yat-sen and later practiced his Mandarin with a shopkeeper. 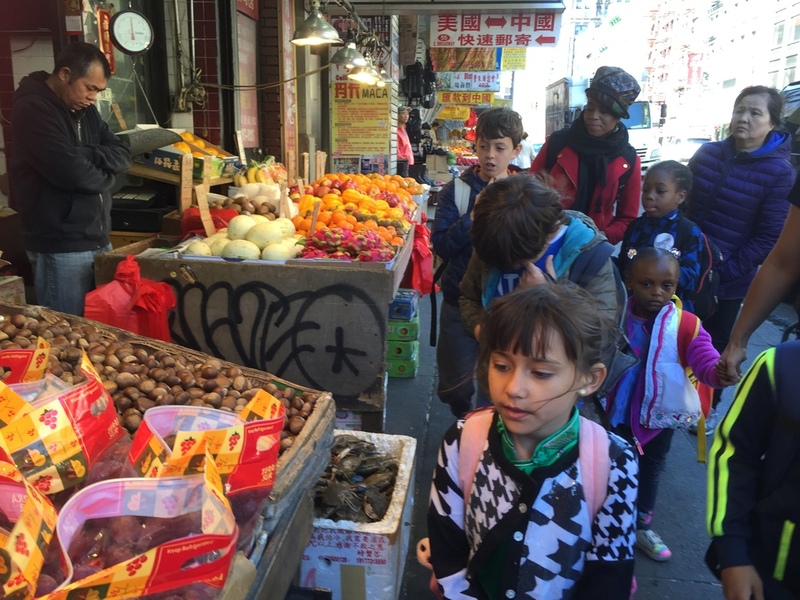 We stopped on Mott Street in front of the Church of the Transfiguration, which Eric pointed out is a perfect example of the neighborhood's changing demographics, as it has served Irish, Italian, and Chinese immigrant communities. We enjoyed making our way through narrow, twisting streets and admired displays of traditional Chinese fruits, vegetables, and herbs. 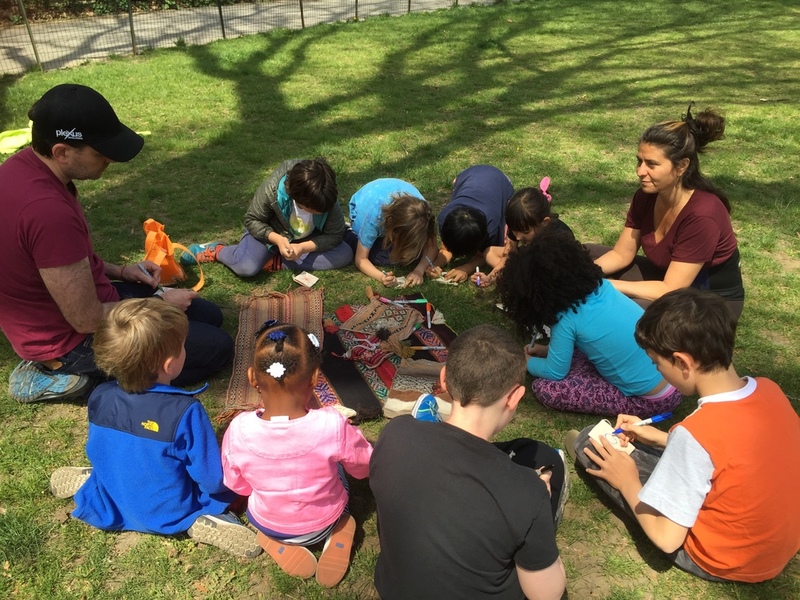 After our tour, we ate lunch and played in the Sophie Irene Loeb Playground near the Manhattan Bridge. 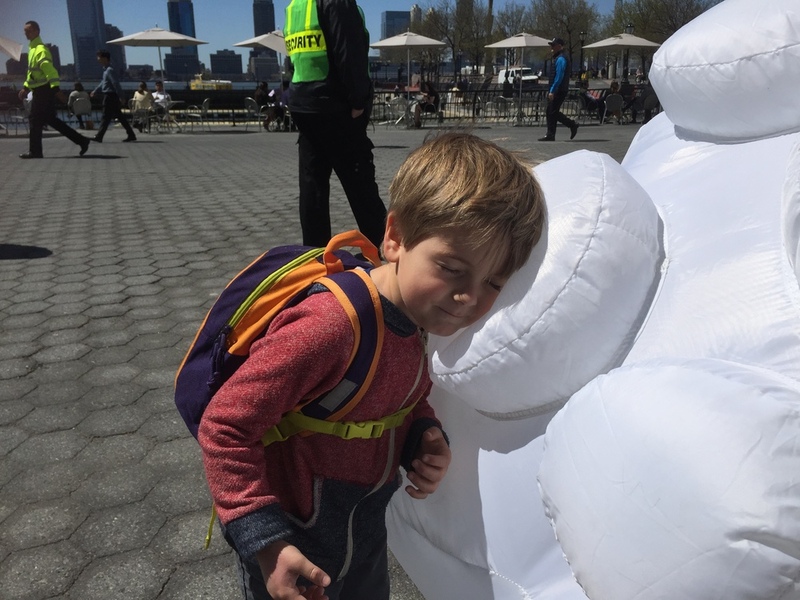 We ended our afternoon on a whimsical note with a trip to Battery Park City to see "Intrude," an installation by Australian artist Amanda Parer. We were all captivated by the white nylon bunnies that towered above us along the Waterfront Plaza and inside Brookfield Place! 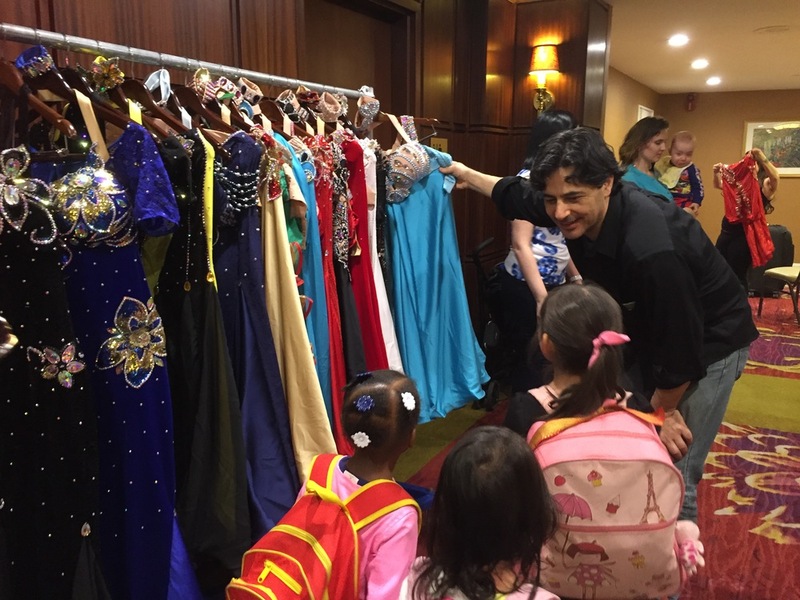 On Thursday we took a trip to the Skyline Hotel for the NYCairo Raks Festival, a celebration of Oriental dance. Our host, Hanna Hanna, introduced us to costume designers who showed us their exquisitely detailed dresses and answered our questions about their work. 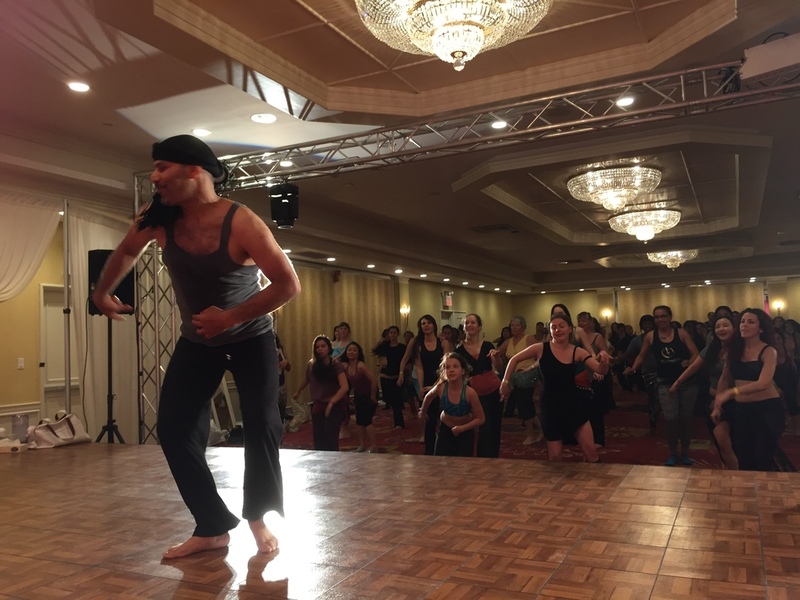 Then we were treated to a lively performance by Tito Seif, who was leading a master class for professional dancers. 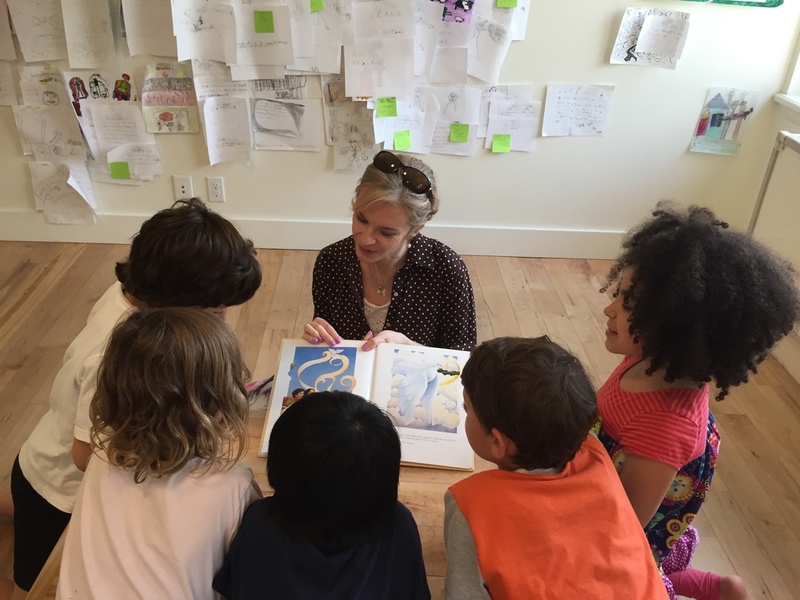 This week the comic book group met with artist and illustrator Bek Millhouse. 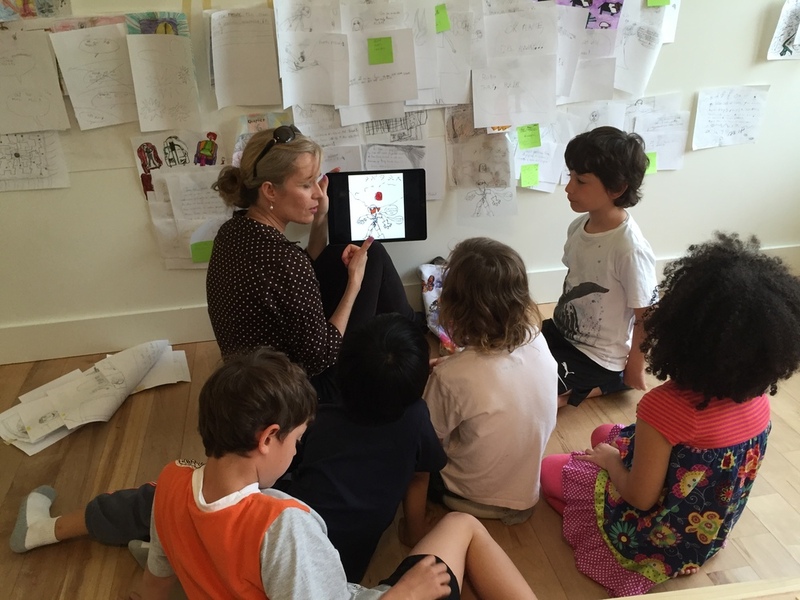 Bek shared her illustrations for Soledad Córdova's book Paloma Blanca and the children enjoyed spotting the many details in her pictures and learning about her technique. Later Bek showed the children how she had scanned one of their drawings and digitally cleaned it up to make it ready for print. 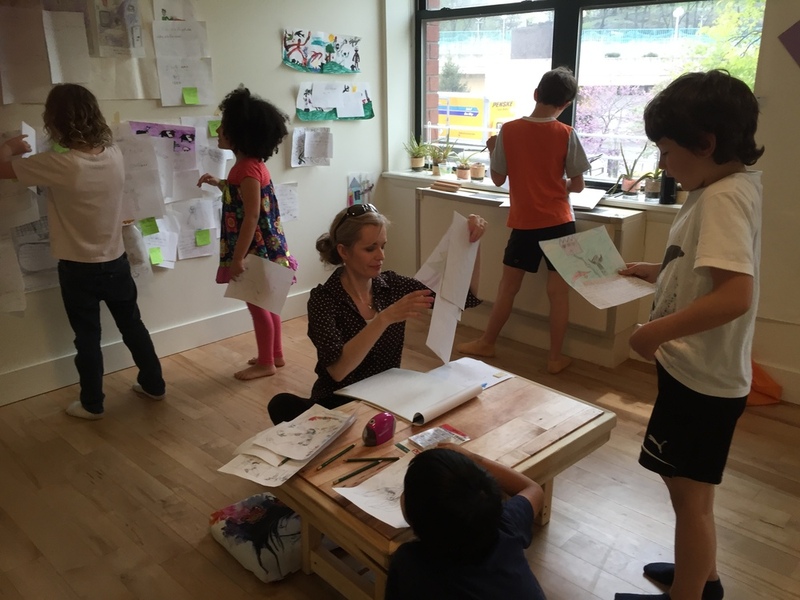 They found this very inspiring and set to work on their illustrations with great enthusiasm! 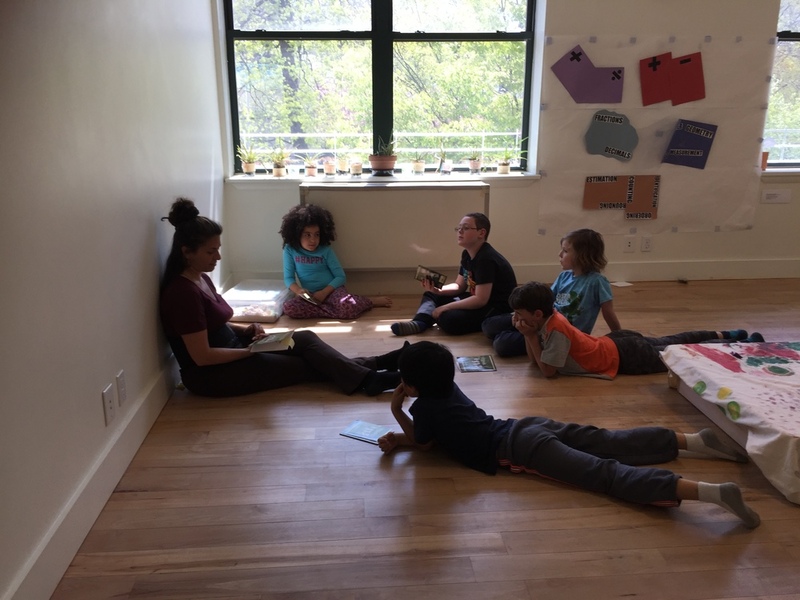 Many creative lyrics and melodies filled the air during this week's songwriting class with Ali! We welcomed eleven families to our information session this week. It is always a pleasure to share why we love Pono! We hope you find pono (harmony and equilibrium) throughout your week!